Many top executives at large investment banking firms will be depositing some jumbo bonuses by the end of this month–and I can’t help but wonder if San Diego real estate and luxury home sales will also get a boost from this largesse. Despite an overall bonus decrease of 10% due to months of multibillion-dollar bank write-downs and a spreading credit crisis, many will be pocketing some still-sizeable sums. Depending on which firm they work for and the position held, some of these Wall Street and corporate bonuses can range anywhere from up to $2 million to $50 million. Real estate prices this year have dropped and where else should these high earners invest their bonuses? According to Forbes, some of these bonus recipients may also be rookies as well as first time homebuyers looking in the $5 to 6 million range. For top executives, the bonuses will be substantially more and potentially leading them towards the $20,000,000 home range. Some rich real estate markets such as Manhattan, San Diego, the Silicon Valley area, Los Angeles and other top markets, just might see an increase of sales come the end of the year. Interest is already brewing in a number of these luxury markets. 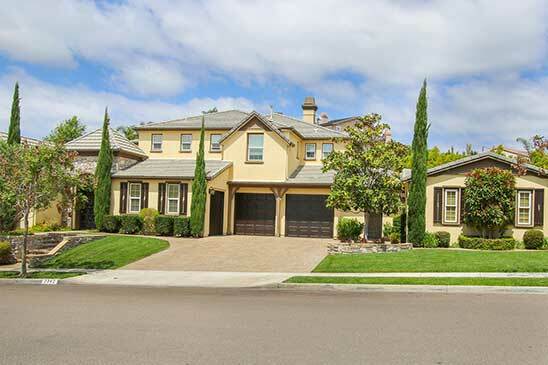 In the coastal San Diego real estate market for example, Rancho Santa Fe, Del Mar, La Jolla, Carmel Valley, Coronado, Solana Beach, Cardiff, Encinitas, Carlbad and downtown San Diego (all coastal) offer some of the finest luxury homes in San Diego County. Inventory levels are also attractive for these flush buyers, which should make the home shopping experience even more fun. At the other end of the country, many bonus-rich buyers will be shopping properties in Manhattan including townhomes overlooking Central Park, which have asking prices at $50,000,000 or more. These executives might not be able to pay cash for one of these properties, but can rest assured that large down payments will be coming from a secure source. Of course the purchase of one of these homes will depend on the size of the bonus. But for some just starting out in the business, a nice condo in a great location would work very nicely–and San Diego might be just the ticket. Heres wishing fat bonuses to all! Curious about most expensive homes in Rancho Santa Fe, Del Mar, La Jolla and other fine communities? This stunning oceanfront home is angled on an elevated promontory capturing miles of uninterrupted coastline and cerulean blue ocean as far as the eye can see. Built in 2003, the spacious 10,900 square foot contemporary home unfolds with an impressive entry, wide gallery halls, volume ceilings, floor-to-ceiling glass, wonderful natural light and warm ocean breezes. The breathtaking ocean views extend past broad limestone terraces while a secluded central courtyard is perfect for entertaining with outdoor fireplace, cook center, and spa. Five en suite bedrooms include well-designed guest quarters, a chef-grade kitchen with Butler 8217;s pantry and caterer 8217;s entry, dramatic living room with wrap-around views, two elevators, wine cellar, and oversized motor court leading to three car garage. Monarch Bay is a guard-gated community with 24-hour security, tennis, private Beach Club on the sand, and rests in close proximity to Monarch Links Golf and the St. Regis, Ritz Carlton and Montage Resorts. Considered the premier oceanfront location in Monarch Bay, this fine residence offers unmatched space, design and coastal views above the crashing surf. Beverly West is an ultra-luxe, 22-story boutique high-rise overlooking the Los Angeles Country Club with 35 breathtaking, light-filled residencies. 360 195; 8218; 194; 186; Views stretch east from Beverly Hills to Hollywood and Downtown, south to Century City and west to the Pacific. Beverly West is the ultimate in Southern California luxury living with amenities ranging from a 24-hour doorman and concierge service, security team and valet, to a saltwater pool and Pilates studio. Five unique design schemes have been expertly tailored to the Beverly West's residences, showcasing the home collections of David Sutherland, Christian Liaigre, Ralph Lauren's City Modern, Armani/Casa, and James Perse's Malibu Collection--all expressing a casual approach to elegance that is distinctly Californian. Roberta, I tried commenting on the post with the galoshes and had trouble getting to the comment page. I guess the effects of the hacking will be felt for a while longer. Glad Sand Diego Luxury Real Estate blog is back up and running! I am grateful to once again have a presence on the web. This hacking attack was heartless and senseless for those targeted. It’s akin to an online earthquake or hurricane. You come in and assess the damage and try to figure out what needs rebuilding and repair. As if we had time to take on such an additional chore….